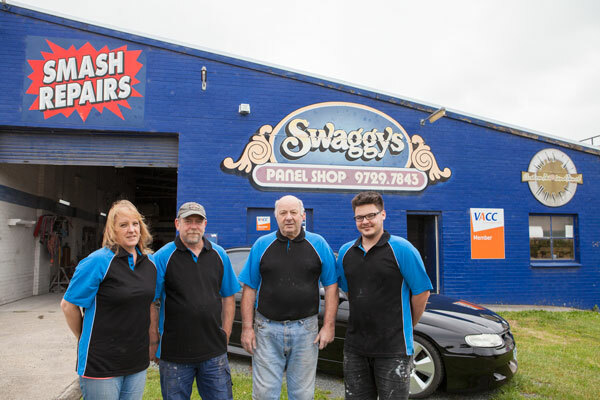 Opened in 1971, Swaggy's Panel Shop delivers smash repairs and spray painting services to drivers in Bayswater, both as Swaggy's and as Guns 'N' Hoses Custom Paint & Panel. Since then the workshop has attracted the best automotive repairers from prominent workshops across Melbourne and throughout Victoria with current owner Matt English boasting over 30 years of automotive repair experience and knowhow. Our small team of technicians and tradespeople pride themselves on attention to detail and extensive industry knowledge built on a combined 80 years of experience, and have cultivated a reputation for trust and quality amongst our customer base, keen to welcome any new customers to our convenient location on Dorset Road with friendly customer service, professional workmanship, and competitive quoting. To find out more about the services our workshop offers, or to make a booking for your vehicle, call us today to speak to one of our friendly, professional repairers.